"I've decided there needs to be a better (and more fun) way to debrief an event." 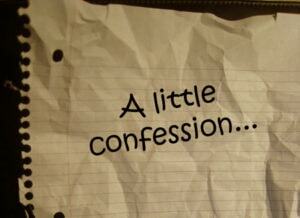 Here’s my confession ….. I simply adore delving into executional details when it comes to the pre-planning side of the event. I actually get an adrenalin rush during the event itself –stickhandling this and that and running around making sure everything is on track. What I abhor about events is sitting down and doing the post-event debrief. I think it goes back to my early days as an event marketer in pro sport. We had a post-game meeting where the top dogs criticized everything from the music we played during TV timeouts to the in-seat promos we ran on behalf of our sponsors to the half-time show. I left that meeting feeling dejected, stupid, and completely useless. I was questioning whether or not I really had what it takes. It’s probably happened to all of us …. We sit in a room, for hours, with colleagues and planning committee members, dissecting each aspect of an event. In some cases, nothing really went wrong with the event and it’s all smiles and patting ourselves on the back. Or, sometimes big things went wrong and people are freaking out and pointing fingers. In either case, we leave these meetings thinking, what have I really learned? It feels like we just rehashed things we already knew anyway! The feedback was reported to us from event volunteers, we overheard snippits of conversation amongst attendees about what they liked and didn’t like, and we saw it firsthand ourselves! Then, to make the post-event meeting feel like even a bigger waste of time, the meeting notes go into a deep dark corner of the shared drive, never to be seen again. I’ve decided there needs to be a better (and more fun) way to debrief an event. For your post-event debrief to be successful, you have to plan ahead. From the beginning of the event planning process, there needs to be a strategy. What are our goals? What is the purpose of the event? How do we define success? What types of reactions are we hoping for from our event attendees? Without knowing the answers to these questions, it is hard to know after the fact if you have achieved what you set out to in the beginning phases or whether some of the little hiccups (or the big ones) actually impacted the success of the event. You should also plan to keep in touch with staff and event attendees on the go. On-site is the perfect time to check-in and document things, since everything is very fresh. Having mini-daily debriefs with your event team is a good way to get the deets and make game day adjustments. It can also be a stress reliever – just venting and laughing a little about the days’ happenings can do everyone a lot of good. I am sharing lots of other tips and tricks on debriefing events in Volume II of my eBook. However, I leave you with this …. Think of the post-mortem meeting as the first planning meeting of the next event! And, if all else fails, host the post-event debrief meeting at the bar!